Is this valve cover dead? +1... I meant to add an actually valuable comment... I went from stock covers to a billet set (From Rennsport) and they seal a lot better. Do the rennsport ones have the tapped holes for the spark plug wire clips? If you can afford new covers, cool. OTOH, that's not a structurally critical area so it's not like you need to replace it immediately. Hmm... as much as i'd love to, dropping a few bills on billet pieces probably isn't in the budget, but i've got the whole car torn down and i'd hate to leave these eyesores on there. I'll pull them off and see what kind of condition they're in besides that one area. If the rest of them checks out, then i'll have the powdercoated and roll w/ it for another couple of years. Really depends on what the rest of the cover looks like. When I pulled mine I noticed the coating on the inside was starting to flake off and the magnesium corroding pretty badly... Uppers and lowers. I'd definitely lean towards replacing them if budgeting allows. I saw your thread when searching for billets a moment ago. Hopefully it's just that one area. They are as of yet en-route. Last edited by Merle; 01-20-2012 at 12:52 PM. If it doesn't leak it's no panic. But how can it end up that way?! Extrem heat, winter driving, impact or what? Never seen anything like it. I think it's just odd magnesium corrosion. Look at what can happen to the fans; there are pictures so graphic they should be rated R.
lol, the cooling fan pics you're referring to are probably off of my car too. 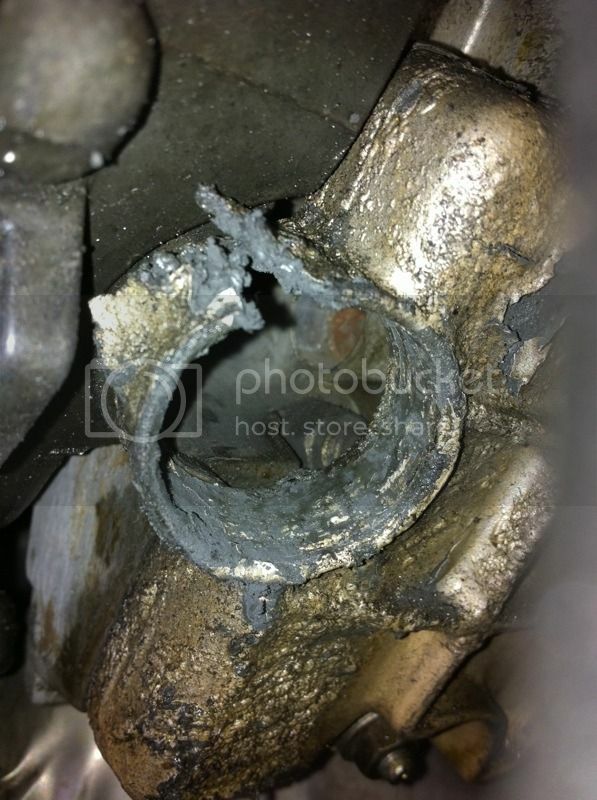 Apparently, my car kills magnesium, lol. As you already have the engine torn down I'd say it's false economy not to replace them now.